Honored to be a member of the Joy Fit Club! When my son was born I knew I needed to make a change in my life. I was nearly 400 pounds, and I was sweating in the cold hospital room. I looked down at him on the warming table, and I knew I wasn’t the role model I wanted to be in his life. 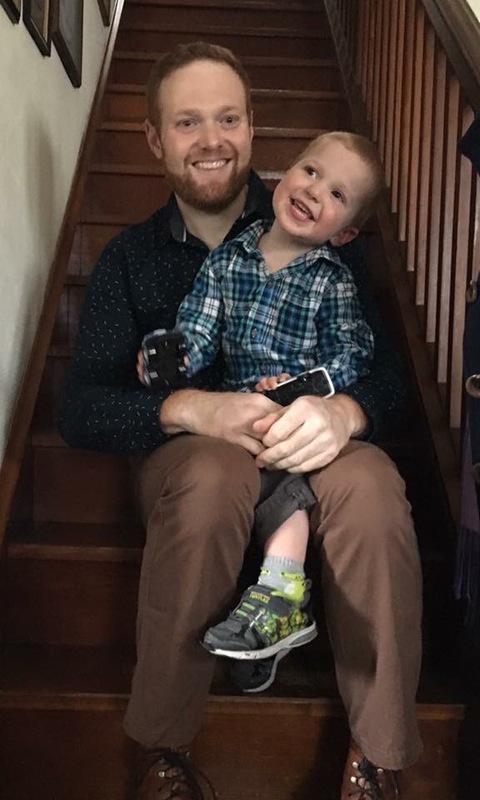 I was ashamed by my weight, and being barely able to get off the couch wasn’t going to help me be the father he needed. He was my motivation to change my outlook and mindset. I worked on my habits. I started my journey by eating healthy and appropriate portion sizes, and I got off the couch! Now I’m able to be the father he can be proud of as he grows up. At 180 pounds lighter than I was when he was born, I feel confident playing with my son in public. I don’t have pain in my back and joints. I can sit on the floor and play Thomas the Train with him, and I model healthy behaviors towards food and fitness. Plus I try to be mildly fashionable. My whole family has “work out time” most nights, and my son even does sit ups and push ups with me. Most of the time he just jumps on me. As he grows up I feel confident that he’ll have a substantial background in healthy habits. My goal isn’t to promote myself. My goal is to promote hope to those who need it. You can make a positive change in your life if you’re willing to work hard and listen to your body’s needs. I’m a regular person who did what he thought impossible: fit into a medium at The Gap. But seriously, I’ve lost an extreme amount of weight and my life is so much more rich because of it. I feel better and I’ve got a lot to smile about now. I am not a fitness person. I don’t work for a health company. I don’t have a background in nutrition or healthy eating. I’m a middle school English teacher. 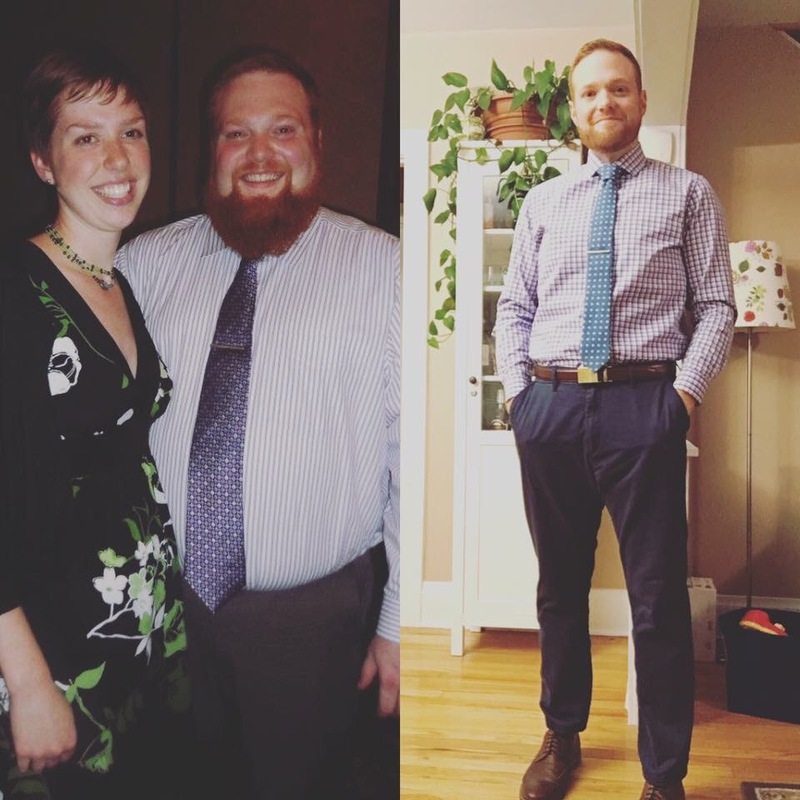 I am a regular person who decided to make a change and it worked. I still am amazed that I’m that “after” picture. On the left I’m around 400 pounds. On the right…210. I’m writing this blog because I was very overweight for my entire adult life. Looking back I realize that I wasted so much of my life feeling trapped in my own body. Being open and honest makes me feel that the whole experience worth it. My struggles with obesity don’t make me an expert. Please take what I say as my own thoughts and interpretations. I’ve done a lot of research on healthy eating and movement, but I’m not trained or educated on health. I’ll make mistakes and say things that probably aren’t medically sound. My suggestions are what has worked for me. I haven’t had surgery, taken pills, or spent hours in the gym. You too can healthier if you embrace your motivation and decide that you want to make a change in your life. No one can force you to make a change. Your methods and motivation will have to be your own.